The following new tours were announced. Check the Tour Dates category every day for more. It’s been a year since Minnesota emo/pop punk band Remo Drive shared their Pop Music EP, but the band has revealed plans for a new album coming soon, along with a headlining summer tour. Dates features openers Slow Pulp, with additional support from Slow Bullet and Heart to Gold on select dates. Stops include NYC (Bowery Ballroom on 6/8), Philly, Cleveland, Washington D.C., Chicago, Dallas, San Diego, LA, and many others, before ending with a hometown Minneapolis date on 7/6 (opener TBA). Check here for all dates. After a two-year absence, synthpop songwriter Shura is back with new single “BKLYNLNDN,” her first release on Secretly Canadian. Although there’s no word on a new album yet, she’s just announced a pair of dates happening, fittingly, in Brooklyn (Music Hall of Williamsburg on 10/23) and London (The Roundhouse on 11/14). Tickets for the MHOW show go on sale Friday (3/15) at 10 AM, with tickets to the London show going on sale Wednesday (3/12). You can stream “BKLYNLNDN” in full below. Roxanne Clifford (formerly of Veronica Falls) announced new tour dates with her synthpop project Patience, whose debut LP Dizzy Spells drops May 3, via Winona Records/Night School.Check out the video for “The Girls Are Chewing Gum” below. If you don’t want to wait that long to hear more songs from it, Roxanne will be joining Molly Nilsson at East Coast show this week in Brooklyn (Elsewhere on 3/13) and Philadelphia (PhilaMoca on 3/12). She’s also got a record release show and Los Angeles at Gold Diggers on 5/3. Find all dates here. There was some hope that Ace Frehley would joing KISS for their “End of the Road” farewell tour in 2019, but it never materialized, so Ace Frehley will be playing his own set of US solo dates beginning this spring. The tour kicks off in Whitesburg, KY in early May, before hitting many other cities including Englewood, NJ (Bergen Performing Arts Center on 6/28), Nashville, Beverly, Ardmore, St. Charles, and more. All dates here. Last week, the cast of CW’s comedy-musical series Crazy Ex-Girlfriend announced a live date at NYC’s Radio City Music Hall on 5/14, in celebration of the show’s fourth and final season. Tickets to that show are nearly sold out, so they’ve added a second date at the venue on 5/15. Tickets to that show go on sale Friday (3/15) at 10 AM, with a presale beginning Thursday (3/14) at 10 AM. Head here for more info. Chicago improvisational guitarist and composer Bill MacKay will be touring in the spring behind his upcoming record Fountain Fire (out March 22 via Drag City), which includes a hometown record release show at Chicago’s The Hideout on 3/29. He’s added more dates to that tour with stop in Louisville, Nashville, Indianapolis, Chicago, Kansas City, LA, San Francisco, Milwaukee, and more. All dates are here, and listen to Bill’s new, breezy single “Welcome” below. Reunited powerviolence legends Infest previously announced a one-off date at NYC’s The Kingsland on 5/3 (their first NYC show in four years) and today they’ve announced a second show at the venue on 5/4, this time featuring opening sets from fellow powerviolence vets Dropdead and more recent band Burden. Tickets to both shows are still on sale. These are Infest’s only upcoming dates at the moment. 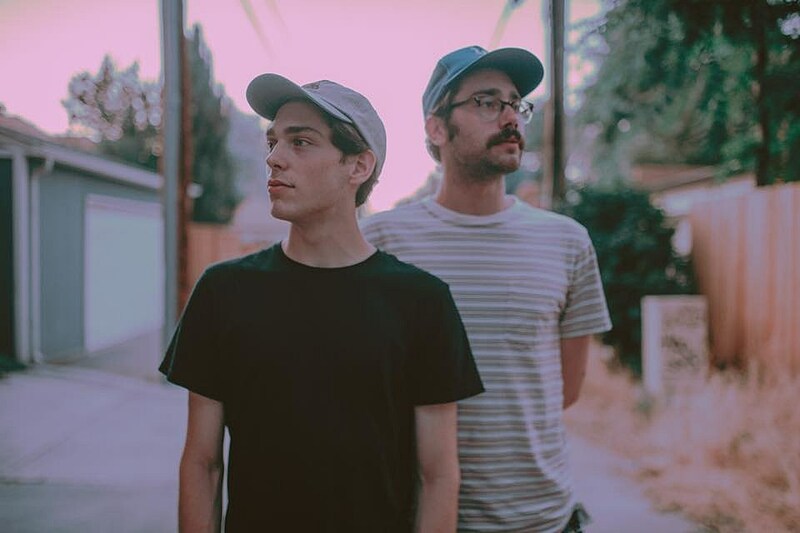 Mellow indie pop band No Vacation have announced a headlining summer tour, with well-fitting support from jangle pop act Okey Dokey. The two bands hit cities across the US beginning in late May stretching into June, with stops in NYC (Bowery Ballroom on 5/26), Philly, Washington D.C., Tampa, Austin, Phoenix, Seattle, Portland, Chicago, and tons more. You can find all those dates here. No Vacation are also teasing their upcoming video for successful 2017 single “Yam Yam,” which drops next week, and you can view a teaser for it below. Disclosure will be playing DJ sets across the US in May, hitting cities like Atlanta, NYC, Miami, Washington D.C., Detroit, and more. Camp Cope have announced openers for their upcoming spring tour, which include Brooklyn’s Oceanator on all dates, and Philly indie-punks Thin Lips on the first leg and Australian indie rockers An Horse for the second. Tool’s new album is allegedly almost finished, and they’ve added a bunch of US tour dates happening later this year. Modern jazz trio The Comet Is Coming hit SXSW this week, and then head out on tour behind their new album, Trust In The Lifeforce Of The Deep Mystery, which is out Friday. Browse our Tour Dates category for even more tours you may have missed.